The U.S. now produces over 1 million barrels of ethanol a day, largely from corn. Also known as ethyl alcohol and grain alcohol, ethanol is found in 97 percent of American gasoline. Elsewhere it’s made from sugar beets, sugar cane and other vegetable products. Proponents argue that it’s cleaner than burning regular gasoline, that it helps wean America off imports and that it finances domestic corn farmers rather than distant despots. And all the agriculture isn’t good for the planet, either: tractors pollute, water is limited and corn plants do not absorb as much carbon dioxide as the forests they are replacing. The Science study concluded that ethanol releases “modestly lower total emissions” than gasoline — but only if people are eating less; not if growing and harvesting more corn is required to feed them. President George W. Bush signed the Renewable Fuel Standard into law in 2005, mandating that 36 billion gallons of biofuels be blended into our gasoline by 2022. The law was expanded under the Energy Independence and Security Act of 2007 and is enforced by the Environmental Protection Agency (EPA). Notably, the Renewable Fuel Standard requires that the biofuels emit less greenhouse gases than the petroleum-based fuels they replace. But it does not set standards for how emissions released during the production of biofuels are measured. We’ll return to this concern below. Under the Renewable Fuel Standard, if a refiner does not add biofuel, it must buy a credit from a refiner that does. A secondary market for these credits, which are known as Renewable Identification Numbers, has blossomed. “These credits originally sold for a few cents a gallon under the system supervised by the EPA. But as an unregulated trading market has emerged, the price has swung wildly for the credits,” The New York Times reported in 2016. What does this mean for the rest of the economy? 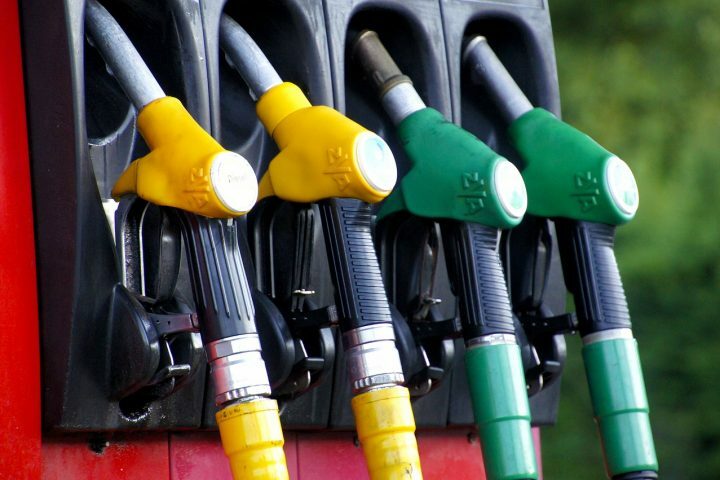 Research led by Christopher Knittel of MIT has found ethanol has done little to depress the price we pay at the pump. In fact, these credits may ultimately cost consumers more than a cap-and-trade policy (CAP) — a flexible, market-based approach to reducing emissions. A 2015 paper in The Review of Economics and Statistics showed that the ethanol mandate is at least 2.5 times more expensive than a CAP. But, the paper concludes, corn-based ethanol production has strong political support “effectively influencing carbon regulation in a manner consistent with private interest.” Where is that political support? Take a look at this map of ethanol refineries, which are often located in corn-growing regions. The credits may also incentivize fraud. In 2015, three Indiana brothers pleaded guilty in a federal court to reselling millions of dollars’ worth of biofuel and falsely claiming it was eligible for credits, a local paper reported. And then there is the question of impacts on the price of food, since ethanol is largely made from corn, which we, and the animals we eat, consume. A 2015 meta-analysis in Food Policy found that an additional billion gallons of corn ethanol increases corn prices approximately 2 to 3 percent. The U.S. produced around 15 billion gallons of ethanol in 2016, according to official statistics. Year-on-year, ethanol exports rose 26 percent to over 1 billion gallons – largely to Brazil, Canada and China. Between 2005, the year the Renewable Fuel Standard was introduced, and 2017, the number of acres planted with corn in the U.S. rose from 81,779,000 to 90,429,000, according to the Department of Agriculture, which publishes maps showing how Iowa, Illinois, Nebraska and Minnesota dominate the corn market. This massive shift affects not only food supplies, but scarce resources like water. In some cases, scientists are engineering crops to require less water and fertilizer. Land-use change also impacts greenhouse-gas emissions. A 2013 paper finds the process of growing and converting corn into ethanol dirtier than using other plant-based alternatives, such as miscanthus (a.k.a. silvergrass), a tall grass found across the eastern U.S.
One of the reasons Washington mandated the use of biofuels was that, when we burn them, they supposedly release less greenhouse gases than traditional petroleum-based gasoline. But scholars have used wildly different models to calculate ethanol’s carbon footprint. For starters, ethanol contains about 33 percent less energy than gasoline, according to the Energy Department. That means it will propel your car fewer miles. (A gallon of gasoline that’s 10 percent ethanol is about 3 percent less powerful than regular gasoline. If a regular gallon of gasoline can take you 30 miles, with 10 percent ethanol it can only take you about 29.) Flex-fuel vehicles can run on a blend that’s up to 85 percent ethanol. Moreover, early studies did not account for the greenhouse-gases emitted by tractors sowing and harvesting the corn, trucks transporting it to the ethanol refinery, or the net effect of uprooting forests and grasslands to plant larger corn crops. A 2008 study in Science was among the first to point this out. Though the study was criticized for envisioning a worst-case scenario, it found biofuels actually increase emissions when compared to fossil fuels. This lesson was valuable for scientists and reporters alike: modeling can impact results. Today most studies recognize a number of factors when calculating this “energy balance.” Researchers must account for fertilizer, the fuel used to harvest and transport the corn, the fuel used to mill the corn and heat it in the ethanol production process, the energy required to pump the irrigation water, etc. The Department of Agriculture says the energy balance has improved markedly since 1995 and somewhat more since 2008 — meaning that it takes less energy to make ethanol than the energy ethanol releases when it is powering a car. Going even further, when studies also account for the byproducts left over in the ethanol refining process, which can be fed to animals, the balance improves. And a number of chemists are probing ways to make the process more efficient. A 2017 study in the Proceedings of the National Academy of Sciences details a process for turning carbon dioxide into ethanol. And researchers at MIT are making heavier, more energy-rich types of alcohol from yeast. The Energy Information Administration at the Energy Department is one of the world’s premier statistical resources on all things energy-related. Among other things, it has a page on renewables, data on ethanol production and consumption since 2000, and data on ethanol exports. The Energy Department’s National Renewable Energy Laboratory publishes interactive maps of where crops used in biofuels are grown, the location of ethanol refineries, pipelines, etc. The Department of Agriculture (USDA) has economic statistics related to cultivation and agriculture resource management.